Get help setting up your new Xbox One X. Get ready for Xbox One X! Here’s what you can do now. 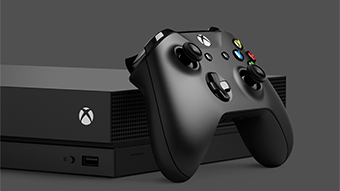 Find out what you’ll get when you upgrade from the original Xbox One to Xbox One X or Xbox One S.
What you need to know to enjoy games in 4K and HDR (high dynamic range). What's the difference between 4K, HDR, and Xbox One X Enhanced games? What's meant by 4K, HDR, and Xbox One X Enhanced? We’ve got answers. Get help setting up your new Xbox. What is Xbox Live and how do I get started? Find out more about Xbox Live, the world’s most exciting social entertainment. Manage privacy and online safety for children and teens. Celebrate your favorite games and Xbox friends by adding them to Home. To use your Kinect sensor with a new Xbox, use the Xbox Kinect Adapter. Would you like to contact Support regarding the "Getting started with Xbox One" issue you were reading about or a different issue?